So the results are in! 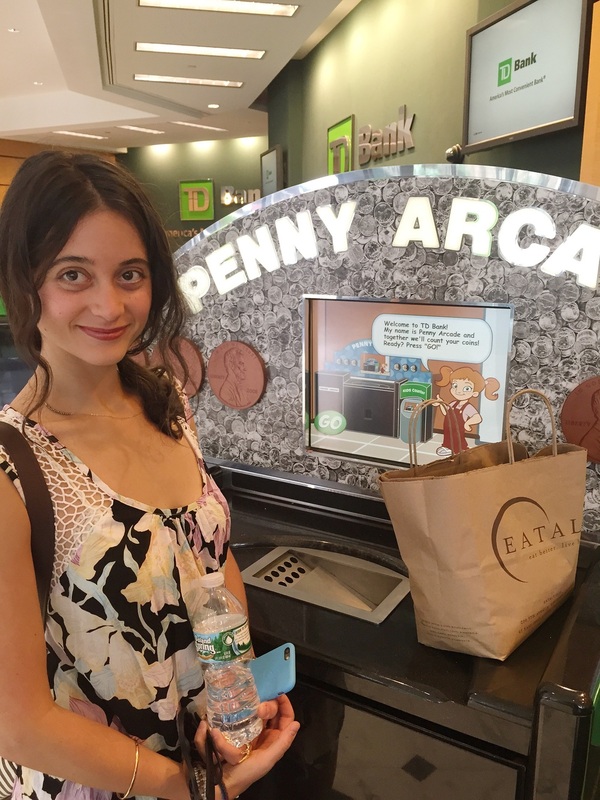 Yesterday we emptied our piggy bank into an Eataly shopping bag, and lugged the coins over to the nearest penny counting machine to get the exact count, just as we promised. Those of you watching on Instagram already know that what came out of this piggy bank was far more than what most of us guessed. A whopping total of $393.73! So many coins that the bank manager had to come over to exchange the coin bag inside the machine. Who knew that such a little pig could eat so much over the years!? It only shows us: Never underestimate a pig! After the bank took its 8% (ouch!!) and handed over the remaining in cash, we went out and spent a quarter of it on a nice brunch at The Smile. We left more than satisfied!